Written for the modern medical student and designed to accompany any current gross anatomy textbook, this brand-new pictorial handbook presented by Drs. Vilensky, Weber, Carmichael, and Sarosi lets you quickly identify pathologic correlates of gross anatomy. Abundant side-by-side high-quality radiography, MR, CT, and ultrasound images of normal and pathologic conditions help you quickly develop the skills you need to differentiate between what's normal and what's not. Discussions on the choice of imaging modality for various pathologies will help you select the right imaging procedure in many clinical situations, making this a handy resource in the clinical environment. But best of all, this visual approach to pathologic correlates will help you ace your courses, the USMLE and NBME final exams. . Features side-by-side radiography, MR, CT, and ultrasound images that illustrate normal and abnormal anatomy, helping you quickly identify conditions while improving your diagnostic skills. . Covers clinical conditions found in the main core of textbooks and radiologically depicts the clinical correlates that you're exposed to daily, making it the ideal companion resource for any medical gross anatomy course. . Uses concise, brief text that explains the condition, thus allowing the radiologic images to guide you to the differentiating factors. . 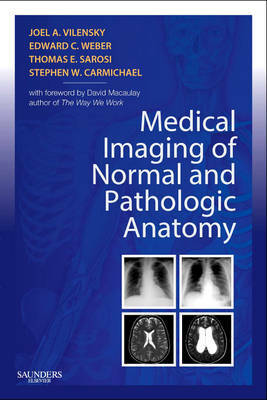 Incorporates discussions of imaging modality choices for a range of pathologies to help you understand how to select imaging procedures for various clinical situations in the clinical environment. . Offers the visual guidance you need to study for and pass your exams.